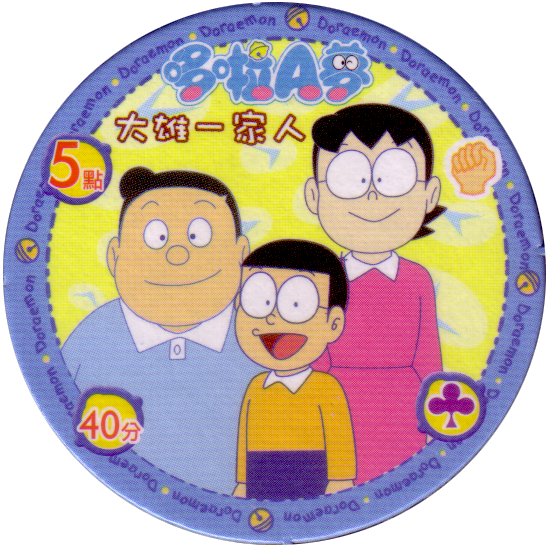 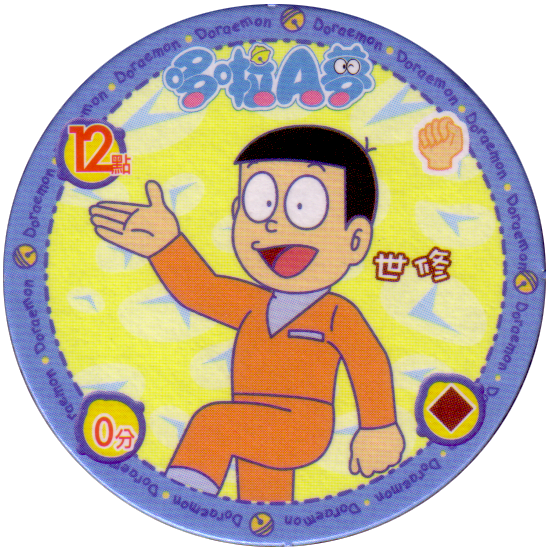 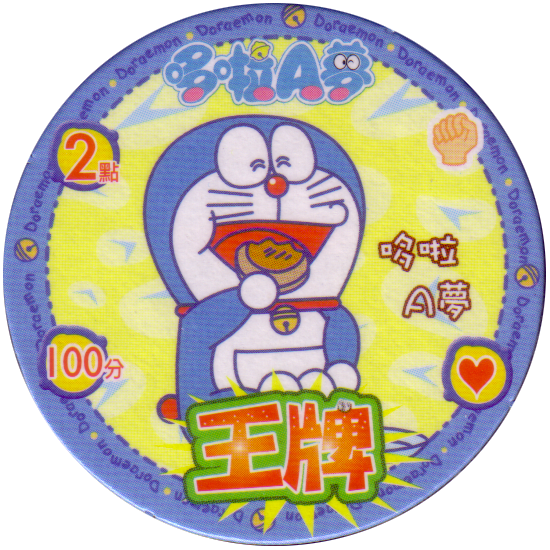 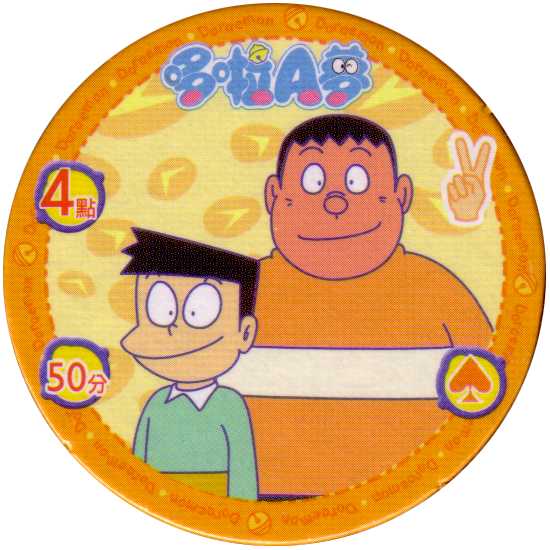 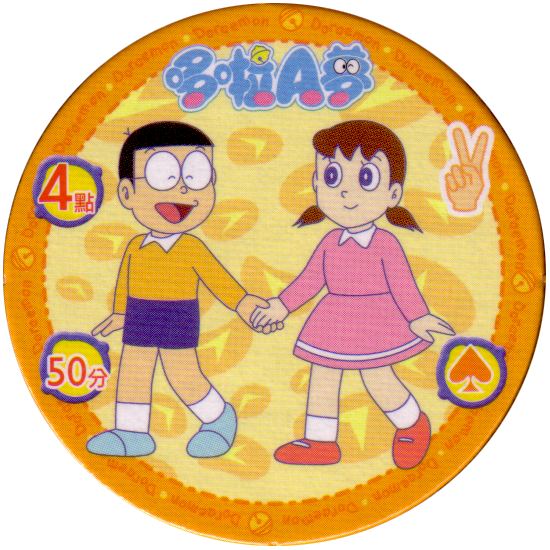 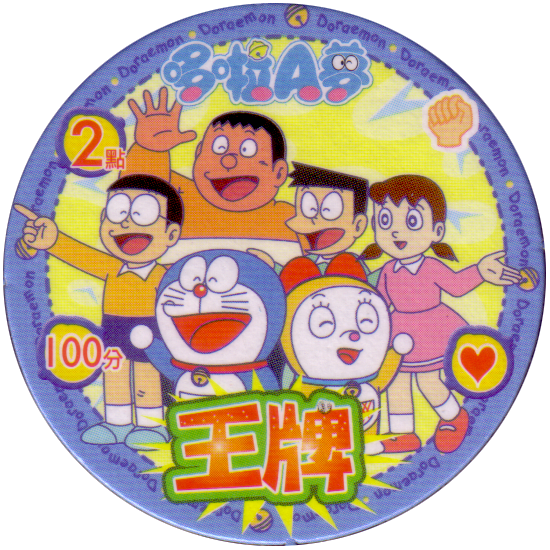 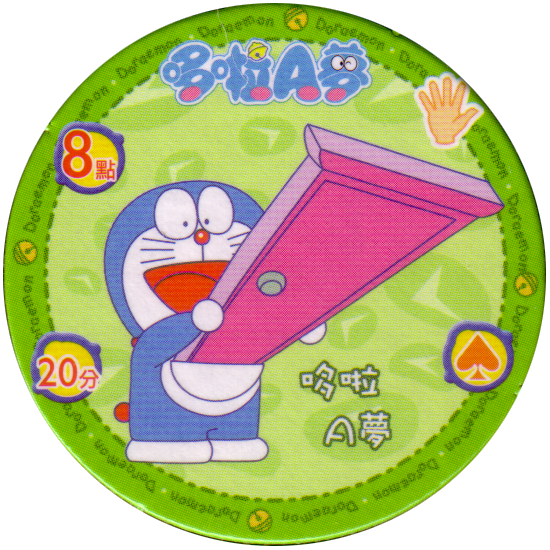 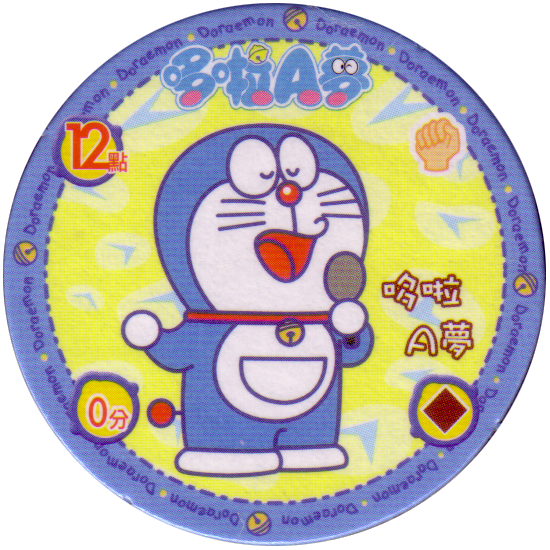 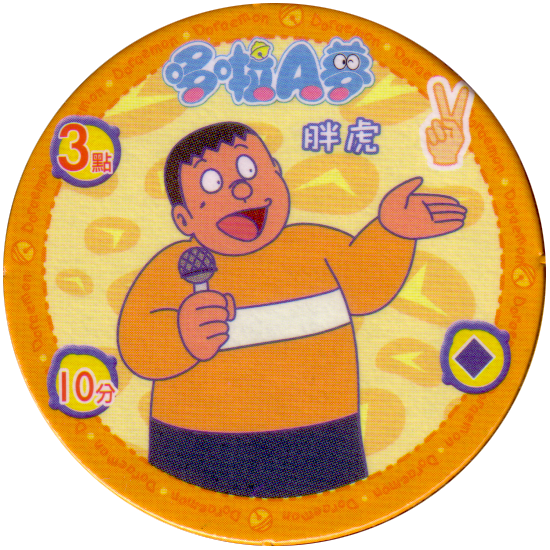 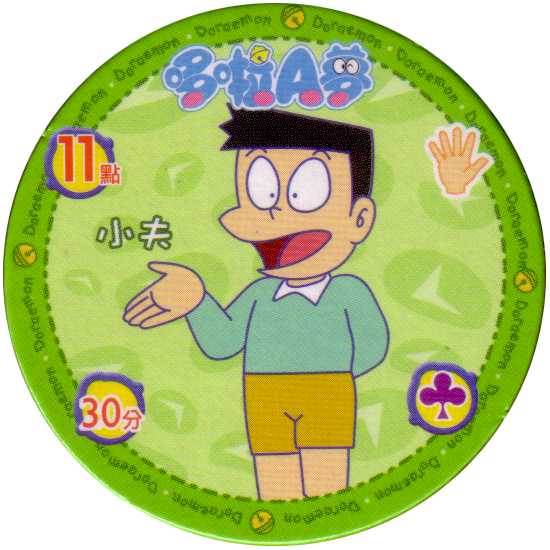 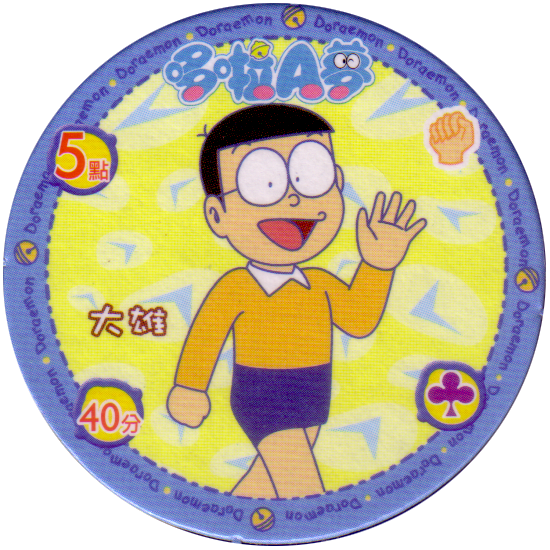 Info:These Doraemon pogs feature various characters from the Japanese manga and TV series 'Doraemon'. 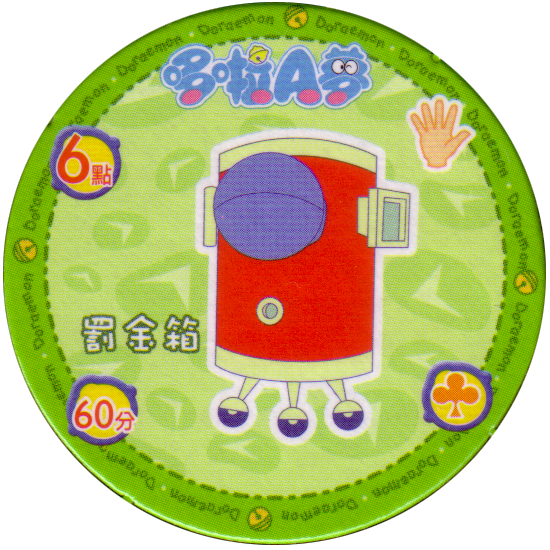 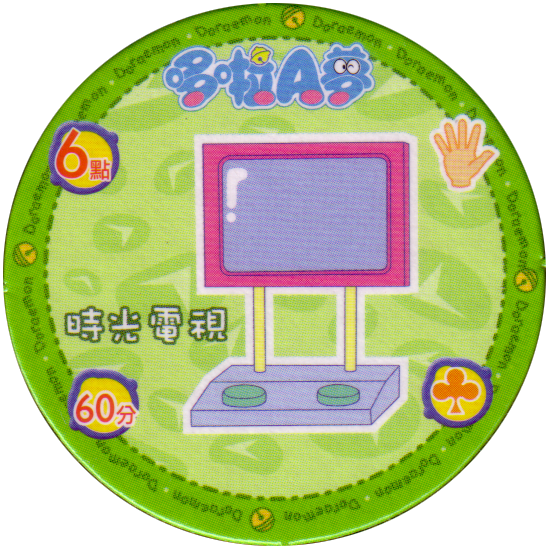 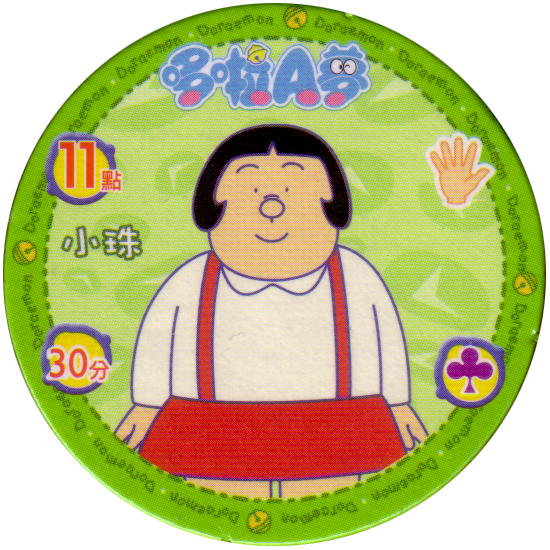 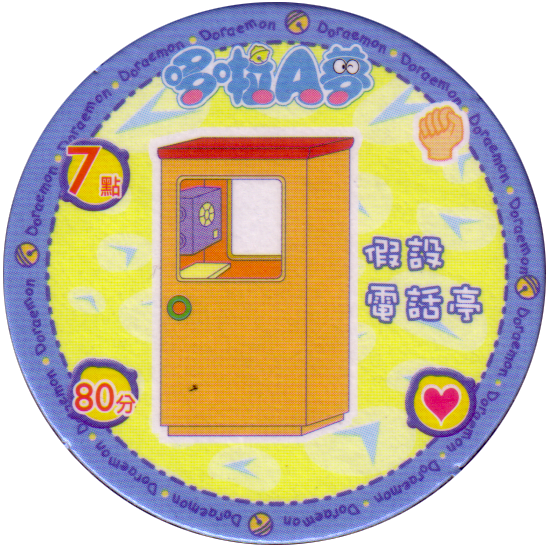 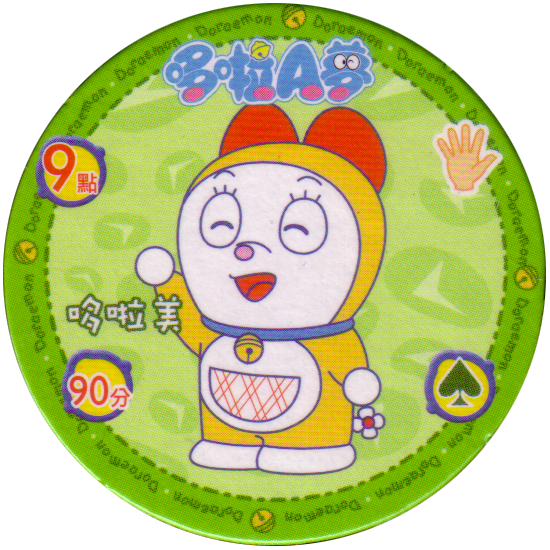 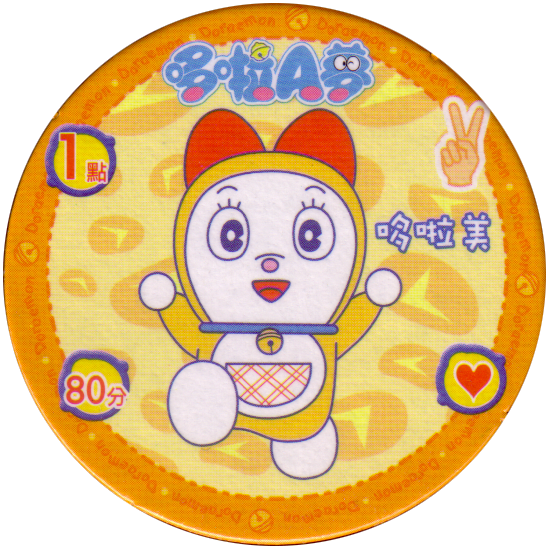 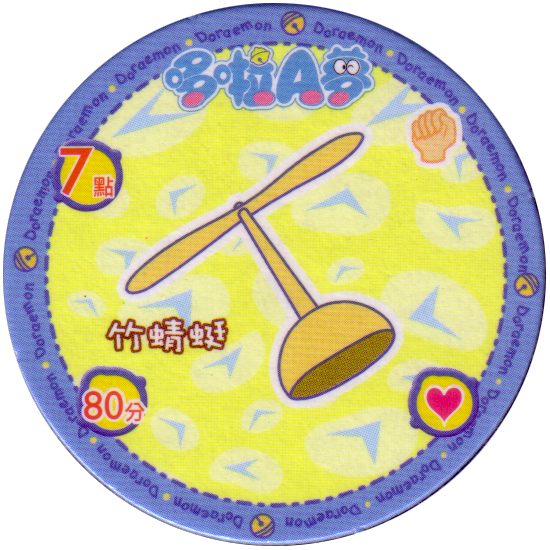 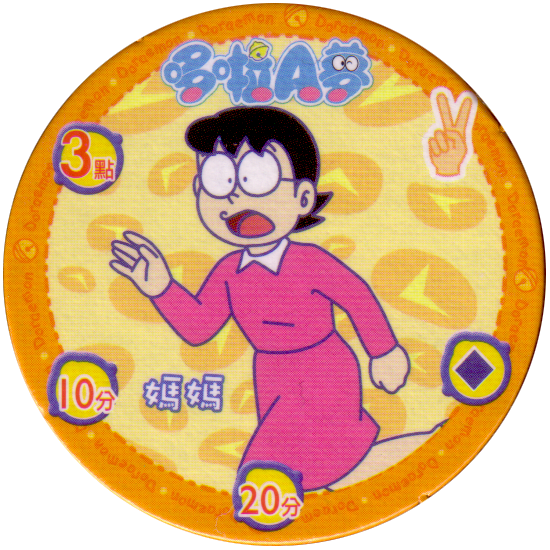 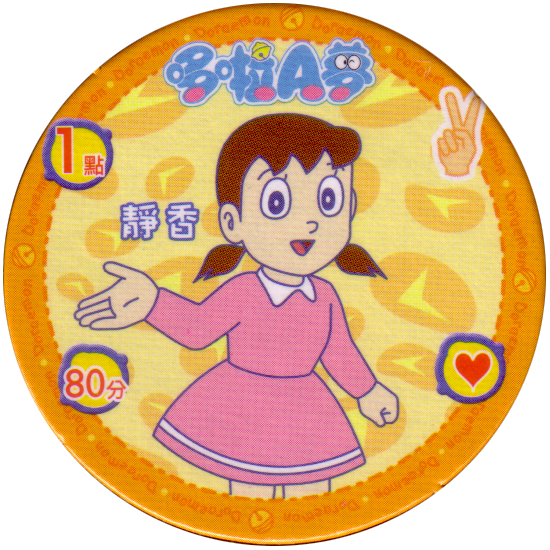 Each pog has two sets of point scores, 分 in the bottom left corner, and 點 in the top left corner. 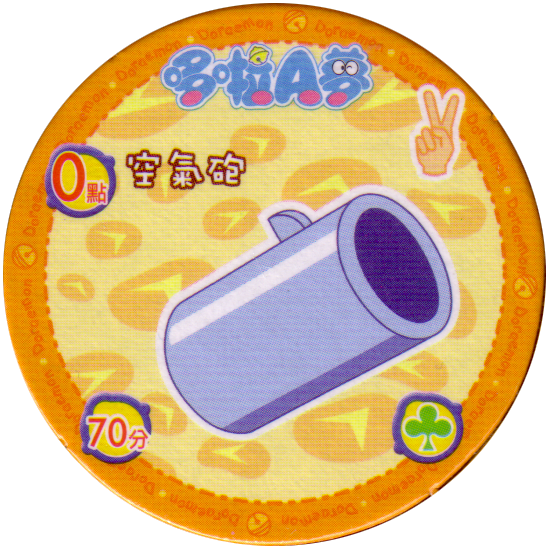 In the top right corner the pogs have a hand representing scissors, paper or stone. 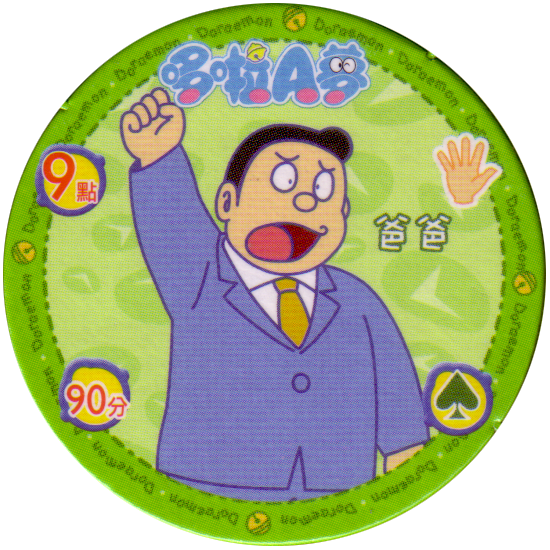 In the bottom right corner they have one of the four suits from playing cards, either hearts, spades, clubs, or diamonds. 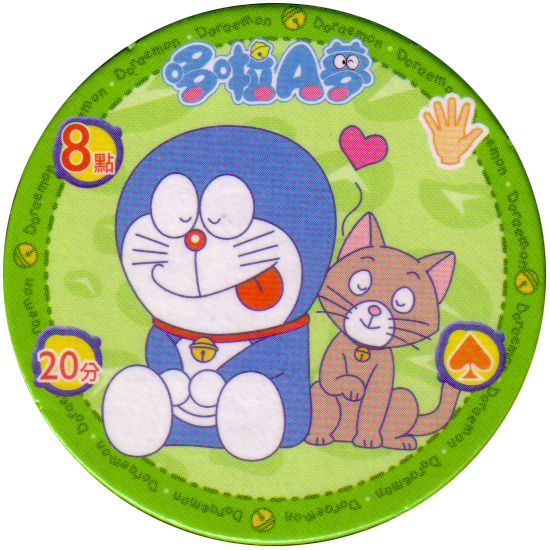 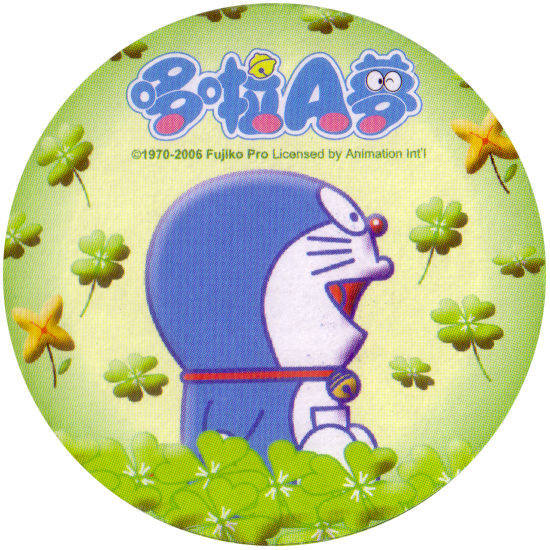 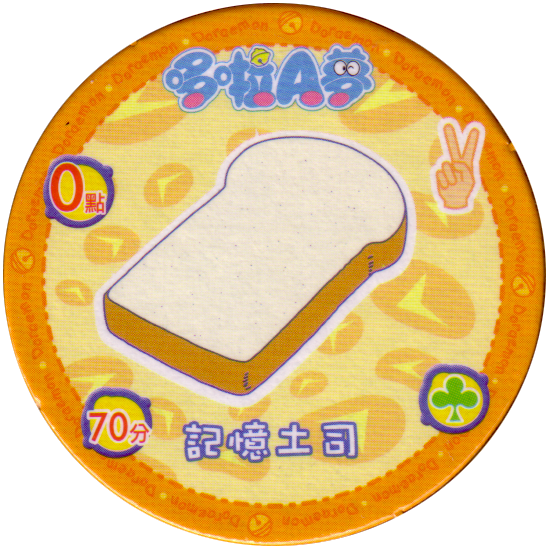 The Doraemon caps come cut but un-punched in two sheets of card together in one pack.